Creating joyous and thought provoking experiences. After finishing a game of King of Tokyo recently, a friend pointed out that nothing about the game is actually described on the box. I was surprised to discover she was right. (Update: I was wrong about this. See the update at the bottom of the post for details.) Sure, there’s the usual basic stats: the required number of players, the minimum age, and the estimated game time. But otherwise it’s pretty much just illustrations of big monsters attacking a coastal city. There aren’t even pictures of the game components–you’d never know it’s a dice game by looking at the box. It’s just pretty pictures, the game’s name, and the designer: Richard Garfield. 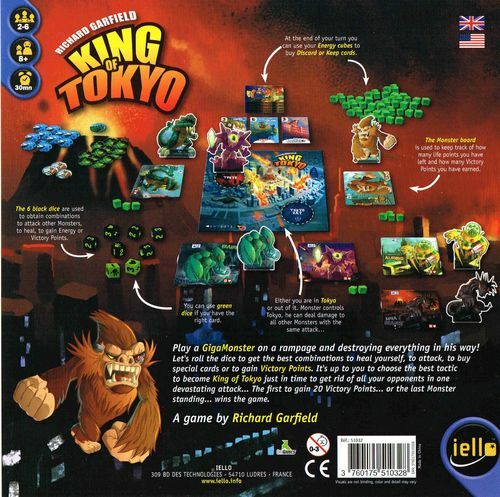 The back of the box for King of Tokyo: the game that needs no description. Image from Board Game Geek. For many people, “Richard Garfield” is all you need to know. Europe has its fair share of rockstar game designers, but in the United States, Richard Garfield really towers above the competition. Best known for creating Magic: The Gathering, and with it the ridiculously lucrative trading card game genre, Garfield is actually quite prolific with a wide ranging portfolio. Over the years he has released many games in a variety of styles, from the zany robot programming game RoboRally to the recently revamped, hidden information thriller Android: Netrunner. He has even delved into party games: growing up, I spent countless hours playing the little known What Were You Thinking. And King of Tokyo is his venture into the world of light weight dice games. King of Tokyo takes the classic dice game trope of roll, re-roll, re-roll, score, and adds a few extra layers. 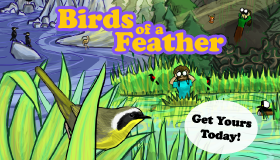 What results is a game that is extremely accessible and surprisingly deep. Mechanisms in the game ensure that there are many strategies that can lead to victory, but players are never overwhelmed with options. Similarly, the game has lots of interaction, but prevents players from getting picked on. Each player in King of Tokyo has three numbers: energy (a currency represented by plastic cubes), health, and points (both tracked by spinners on a character card). Each turn, a player rolls six dice, then re-rolls them twice, saving any dice before re-rolling. The faces of the special dice in King of Tokyo. Image from Board Game Geek. 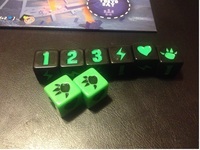 The special dice for the game have six faces: 1, 2, 3, lightning, heart, and claw. After rolling, a player uses the dice to modify energy, health, and/or points (usually his or hers, but sometimes other players’). Getting three or more of the same number face increases the player’s points. Lightning gives the player energy, which can be used to purchase special powers. Hearts increase the player’s health, while claws decrease the health of other players. When a player has 20 points or all other players have 0 health, that player wins. The dice all do simple and straight forward things, but different results are preferred each turn based on the current game state. This sort of tension keeps the game interesting and keeps the players thinking, but not too hard, since player choice mostly boils down to which dice to keep. Players use energy to purchase upgrades from a deck of cards. Each upgrade gives an immediate benefit, like extra points or heatlh, or a long term ability, like extra re-rolls or doing extra damage on later turns. The deck is huge, but only three cards are available at any given time, again keeping decisions managable but also keeping each game fresh. The last and very important mechanic is how fighting works. When you roll claws, you don’t control who you attack. Instead, there is a single player in Tokyo at any given time. If another player is in Tokyo, claws mean you attack that player. If you happen to be in Tokyo, then your claws attack every other player! Much like your dice rolls, being in Tokyo can be good or bad, and you only have partial control over whether you’ll be there or not. When someone in Tokyo takes damage, he or she can yield Tokyo, in which case whoever did that damage must move in. That’s the only way to get in or out (aside from a handful of special cards you can buy). Moving into Tokyo gives you a free point right off the bat, and being in Tokyo at the beinning of your turn (meaning you stayed there through everyone else’s turns) nets you two extra points. The catch? When you’re in Tokyo, you can’t heal. Not only does that mean you’re vulnerable to dying, it also means one sixth of each die you roll does nothing. This tention between wanting to be in Tokyo and out of Tokyo, but not being able to control it, is where King of Tokyo shines. The rules are simple but the strategy is deep and the ideal outcome of each roll is constantly changing. Will you spend this game racing to 20 points, peacefully avoiding Tokyo? Or will you try to take the city so you can unload damage on all of your opponents? For a game accessible enough that I can play with my mom, that’s a lot of depth. Unfortunately, not all is perfect in the land of Tokyo. There are two major problems with the game that keep it from being the perfect quick filler game, and together those two problems can make the game dreadful. First up: you can die in King of Tokyo. Yes, we’re talking player elimination here. And unfortunately, it’s very possible to die in the first round or two, especially if you’re new and don’t realize how dangerous staying in Tokyo is. To make matters worse, the uncontrolability of the dice can sometimes mean that players will accidentally kill each other. In my view, player elimination is never a good thing, and there are probably alternative rules that could have kept people in the game (like rolling fewer dice at 0 health, or having to roll 3 hearts to get back in the game, or whatever). The other serious flaw is that, while points always tick up toward concluding the game, health goes up and down with almost the same frequency. That means that if players choose to ignore points and dive straight into fighting, it’s very possible that the game can drag on for a long time as each attack is immediately canceled with hearts. Eventually the points will end the game in these situations, but that doesn’t mean it will happen quickly. Put these two problems together and you can have games that drag on forever between two players, with the other eliminated players just sitting around. This very negative result isn’t common, but it does happen, making the game that much less fun. 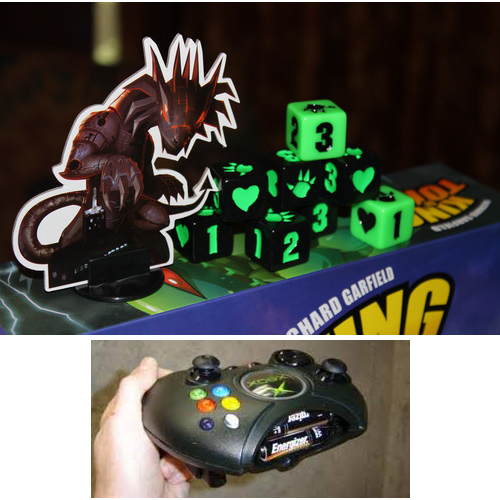 Whoever designed the King of Tokyo components must have been heavily influenced by the original X-Box controllers. Images from Board Game Geek and Slash Gear. Before I conclude today, I wanted to comment on the aesthetics and components of the game. Unfortunately, in my view, they detract from the game quite a bit. The art is fine, but the game features many more components than are necessary, and those components are much larger than they need to be. Even the dice are huge, something my friends complained about when we played recently–they look like they were designed by whoever created the original X-Box controllers. This may not relate directly to the game design, but for a game designed so elegantly, it is disappointing to see such an unwieldy and gaudy physical manifestation. Despite a handful of problems, King of Tokyo is a very well designed game. The rules are simple enough to teach or pick up in a few minutes but create enough depth that multiple strategies are possible. The game is accessible enough that everyone I’ve played with has grasped it, but it has enough nuance to keep hard-core gamers interested. 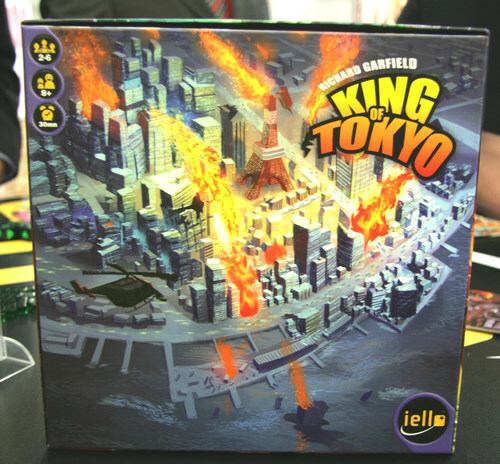 For being in a genre traditionally dominated by luck, King of Tokyo shows that dice games can be interesting, and Garfield has once against shown why he might be the greatest American game designer. Information about King of Tokyo that appears on the back of the box before the game is opened. Image from Board Game Geek. Copyright 2019 Nothing Sacred Games Proudly powered by WordPress Theme: Comet by Frostpress.